On a recent trip to Italy, I began using TripAdvisor to find highly-rated restaurants that were within walking distance of whatever piazza I happened to be standing in. While in Florence, I found the top-rated restaurant in the city on Trip Advisor, was a sandwich shop, just a block away from our hotel. If you are going to Florence any time soon you gotta try this place – All’Antico Vinaio! The restaurants I chose to visit weren’t spending huge amounts of money on advertising, and my decision to give them a try had nothing to do with an offline marketing message or advertisement. Back home in Chicago, I continued to use TripAdvisor on my mobile phone and ended up finding a fantastic up-close magic show playing just a few blocks from my home! Whether in Italy or the U.S., my decision to make a purchase was self-generated based on research I conducted with my mobile device. The restaurants and events I patronized understood the power of mobile marketing, and put marketing effort into securing great reviews on TripAdvisor. Customers – especially retail customers – are more empowered than ever when it comes to making informed buying decisions right from their personal mobile devices. So what does all of this mean for your retail business? Not only is mobile marketing essential to your store’s success; it can be used to create a more personalized, satisfying customer shopping experience. 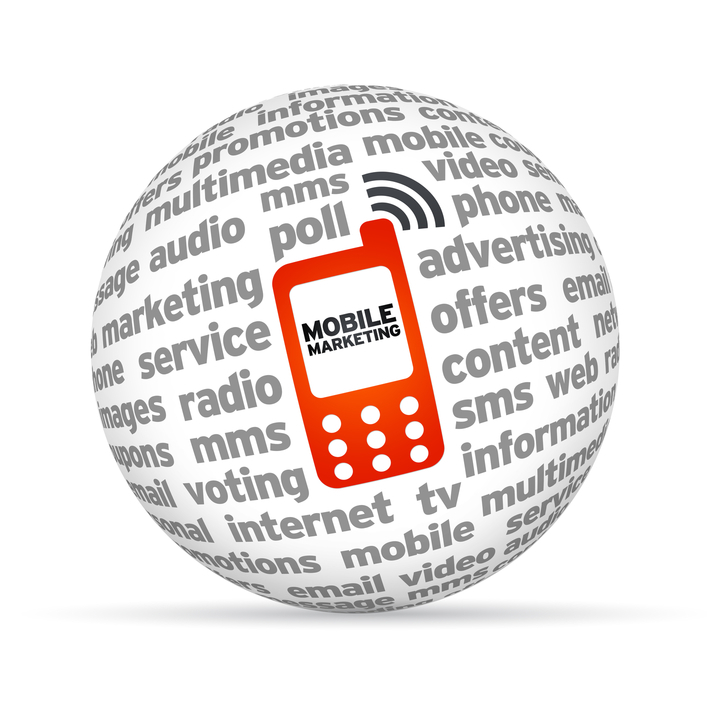 Mobile marketing isn’t just about making it easier to shop from a mobile device. It’s about creating a systematic shopping experience that blends in-store offers with online engagement, resulting in increased conversions and a better overall buying experience. 1. “Mobilize” your sales funnel. At each and every stage of the customer life cycle, you need a mobile strategy that helps the customer move from one stage of the buying cycle to the next. Consider how you currently take the customer from awareness and interest to making a purchase, and look for ways to support those efforts with mobile technology. 2. Use mobile marketing to support all other aspects of your marketing. Marketing no longer exists in a vacuum. Direct mail campaigns, email marketing, and online advertising can all be supported by and integrated with mobile marketing efforts. For instance, if you’re having an in-store sale, you can use text message marketing to alert customers within a certain GPS radius about the sale and invite them to stop by. 3. Create real-time mobile alerts that complement in-store shopping. When using predictive analytics to predict a customers’ next purchase, you can further optimize their shopping experience by sending special offers to their mobile device. Let’s say you’ve created a mailing based on a predictive model that tells you what a particular customer segment is likely to buy next. You can then use mobile marketing to alert customers about a product that is most often purchased in tandem with the mailed offer. A customer may come into your store to purchase a couch, then receive a real-time special offer for accompanying pillows while they’re still in the store. The key to mobile marketing success is creating offers that are based on hard data. By observing purchasing patterns, preferences, and buyer behavior, you can create complementary mobile campaigns that result in a powerful, personalized shopping experience in real-time. Initially it may seem like adding mobile marketing to your efforts is just one more way to increase your marketing spend. But like so many other aspects of data based marketing, failing to take advantage of this technology always ends up costing you more in the long run. Cut the bread in half and shmear the bottom piece with your favorite spread (I had eggplant spread in Florence) then place an abundance of your favorite meat/protein. I chose a genoa salami in Florence and then covered that with a luscious thick piece of artisanal cheese. Shmear the top half of the bread and add anything else like fresh ripe tomatoes and some arugula for crunch…pour a glass of wine and chow down! It’s no different with mobile marketing. By adding data based mobile offers to your marketing arsenal, you are guaranteed to give customers exactly what they want, when they want it. And what could boost profits better than that? Connect with Massa & Company for a free consultation on how to use mobile marketing to increase profits and reduce your marketing spend. Visit http://massainc.com/ or call (312) 463–1050 to set up your free consultation today.